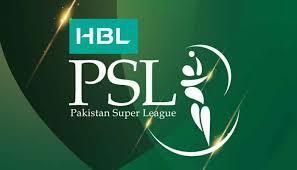 Islamabad, The drafting of the players for Pakistan Super League season 4 has been completed. The weakest team of the previous three seasons, Lahore Qalandars got the services of the most aggressive player, AB de Villiers in the platinum player. According to the rules and regulations of PSL, in each 16 member squad, three players in each category of platinum, diamond and gold and five players in silver category while 2 emerging players are included. After the closing of the trading window, each franchise has the permission to retain maximum 10 players. However, all of the franchises made their final decision and they included 8 to 10 players in their list on 13 November according to their convenience. The draft was finalized yesterday and all of the teams completed their 16 member squad taking from the list of over 600 players giving by the PCB and they also selected the supplementary players, who can be called in case of injury or non availability of any player. In this way, the PSL 2019 players drafting was completed. 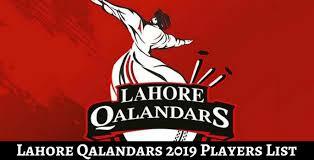 Lahore Qalandars retained 8 players and they decided to get the services of Fakhar Zaman in Platinum category and Yasir Shah in the diamond category. Anton Devcich and Rahat Ali are kept in gold, Shaheen Shah Afridi as ambassador after his demotion in the silver while Hassan Khan, Agha Salman and Sohail Akhtar are kept in silver category. Lahore Qalanders has done the trading with Quetta and they exchanged their players and Qalandaers got Hassan Khan and Rahat Ali in place of Umar Akmal and Sunil Narine. 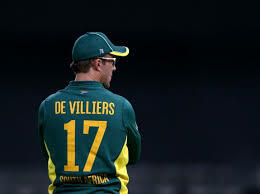 During the draft, Lahore Qalandars got AB De Villiers and Muhammad Hafeez in Platinum and Carlos Brathwaite and Corey Anderson in the diamond category while Sandeep Calamychain in gold and Haris Sohail in the silver category. In the emerging category, the players, Muhammad Imran and Umair Masood are selected. The ex-Multan Sultans and presently 6th team of present PSL, retained its 8 players. The captain, Shoaib Malik is the captain of the team and he is selected as the platinum player in the team. Muhammad Irfan is demoted from platinum to diamond category and he is included in the team in diamond category as ambassador. Junaid Khan is also included in this category while Shan Masood has gold category while Muhammad Abbas, Muhammad Irfan Khan and Umar Siddique are in the silver category and Muhammad Junaid is kept in emerging category. The 6th team of the draft has included Shahid Afridi and Steven Smith in the platinum category, Junaid Khan and Joe Denly in diamond, Qais Ahmed and Nicolas Pooran are in the gold category while Laurie Evans and Noman Ali in the silver while Muhammad Ilyas is selected in the emerging category. The winner team of the previous PSL edition, Islamabad United has retained maximum number of players of 10. There are three players, Luke Ronchi, Shadab Khan and Faheem Ashraf are included in the platinum category while Muhammad Sami and Asif Ali are retained in the diamond category. Roman Raees is demoted from diamond to gold and Hussain Talat is in Silver as ambassador. Sahibzada Farhan, Zafar Gohar and Waqas Maqsood are in the silver category. Islamabad United has done the e-draft in which they picked Ian Bell in diamond and Samit Patel and Phil Salt in the gold and Cameron Delport in the silver category. They picked Musa Khan and Nasir Nawaz in the emerging players. Karachi Kings has retained 8 cricketers. In the platinum category, Kings picked Muhammad Amer, Babar Azam and Colin Munro and Colin Ingram is included in diamond as ambassador. Usman Khan Shinwari and Imad Waseem retained in the diamond while Ravi Bopara and Muhammad Rizwan are included in the gold. Kings picked Sikandar Raza in gold, Owais Zia, Sohail Khan, Usama Mir, Aaron Summers and Iftikhar Ahmed in the silver category while Ali Imran and Ibrar Ahmed are picked in the emerging category. Quetta Gladiators has retained 9 players in the draft. Captain Sarfaraz Ahmed is included in platinum category, while second player of platinum is Sunil Narine, who is obtained through trading with Lahore Qalandars. The Australian all rounder, Shane Watson is mentor and picked as diamond player. Sohail Tanveer is obtained from Multan Sultans and Muhammad Nawaz is added in diamond. Rilee Rossouw is in gold as ambassador, while Umar Akmal is placed in gold and Anwar Ali and Saud Shakeel are retained in the silver category. Anwar Ali is demoted from gold. Gladiators got the players through draft, which are Dwayne Bravo in the platinum, Fawad Ahmed in gold, Muhammad Asghar, Danish Aziz and Ahsan Ali are placed in the silver category while Ghulam Mudassar and Naseem Shah are placed in the category of emerging players. Peshawar Zalmi has retained 8 players. Zalmi decided to pick Wahab Riaz and Hassan Ali in the platinum category. Darren Sammy is in diamond and Kamran Akmal is placed in diamond as ambassador. Liam Dawson is in gold, Umaid Asif and Khalid Usman are in the silver category, while Sameen Gul is in the emerging player category. Kamran Akmal is demoted and he is made the ambassador. Ahmed Shahzad is included as the supplementary player in the team. In the drafts, Peshawar Zalmi picked the players like Kieron Pollard in the platinum, Misbah ul Haq in diamond, Dawid Mallan and Umar Amin in the gold Wayne Maddison, Sohaib Maqsood and Jamal Anwar are included in the silver category, while Sameen Gul and Nabi Gul are included as emerging players. 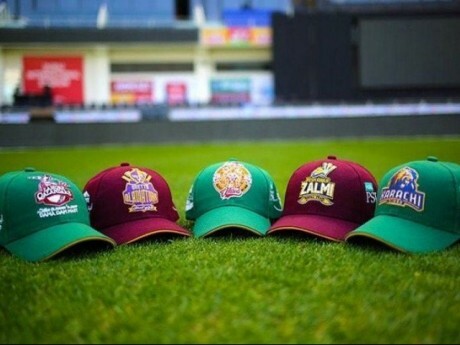 The PSL 4th edition will be inaugurated on 14th February in UAE with the colorful inaugural ceremony.